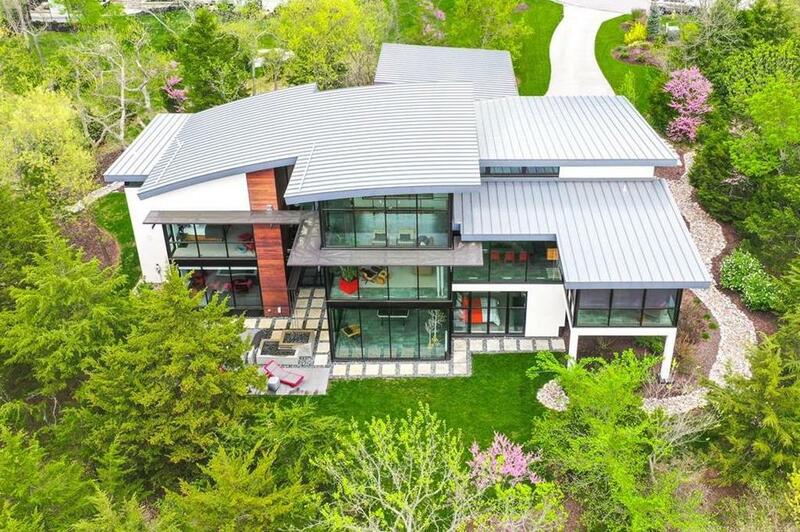 Rare opportunity to own this “Architectural Masterpiece” contemporary home! Back of Home is all glass & boasts Panoramic views of Cedar Creek Valley. Light&airy open concept. Sophisticated..but simple. Rare&exclusive features. Designer lighting, Brazilian Hardwood on interior & exterior ceilings, stairs & bridge, custom cable/metal staircase, luxury Wolf & SubZero appliances.Smart home/green built; Geothermal heating&cooling electronically controlled, Crestron Electronic control system for lights,shades,door locks. 27349 W 108th Street (MLS #2154259) is a contemporary single family home located in Olathe, KS. This single family home is 4,806 sqft and on a lot of 54,014 sqft (or 1.24 acres) with 4 bedrooms, 4 baths and is 6 years old. This property was listed on 03/22/2019 and has been priced for sale at $1,675,000. Nearby zip codes are 66007, 66018, 66062, 66220 and 66227. This property neighbors other cities such as Basehor, Desoto, Lenexa and Shawnee.